Dean Harrison and Lee Johnston, two of road racing’s hottest prospects, will line up together at this year’s Classic TT Races presented by Bennetts for Black Eagle Racing. The ‘dream team’ will see the 25-year olds on board fabulously exotic MV Agusta 3 and 4 cylinder machines. Johnston, 2012 TT Privateer’s Champion, had his first taste of classic action at the corresponding event last year and made an instant impact, breaking both the lap and race records in the Okells 350cc Classic TT Race. The Northern Irishman, now based in Hull, shattered the lap record last August with a stunning lap of 105.239mph and eventually won by a commanding 45 seconds to take his first win on the Mountain Course. He’ll line up on the same three cylinder machine this year and will also campaign the team’s 3-cylinder MV Agusta in the Bennetts 500cc Classic TT Race. Harrison was due to ride for David and Mark Kay’s team at last year’s event only for an injury sustained at the Ulster Grand Prix ruling him out. 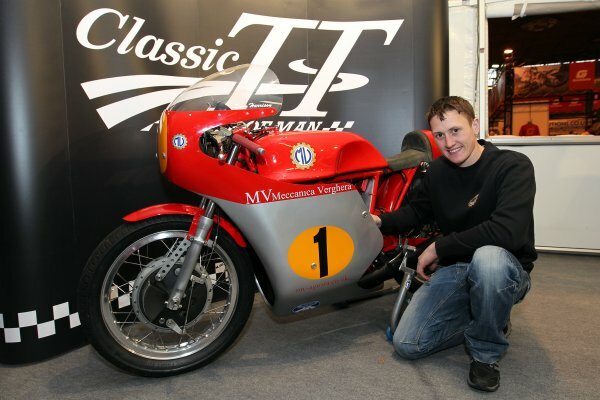 Winner of the 2014 Bikesocial.co.uk Lightweight TT, the Bradford rider – who will be Yamaha’s official entrant on the roads in 2015 with Mar-Train Racing – has already tasted victory in the Classic TT though, winning the inaugural Formula Classic Race in 2013. Harrison will also campaign a three cylinder MV Agusta in the 500cc Race but will be on board the team’s exotic four cylinder ‘fire engine’ in the 350cc event. 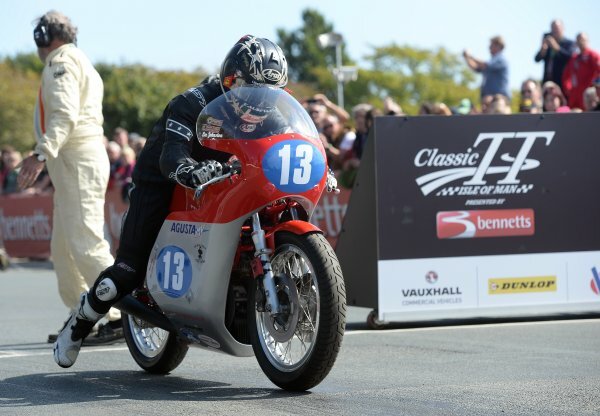 The talented line up will give Classic racing specialists Black Eagle Racing, a terrific chance of success in both races and further emphasises their commitment and desire to succeed at the Classic TT, again their prime focus in 2015.